Translation technology has greatly improved over the years. From BabelFish and Google Translate, several new translation solutions have already been introduced. They enable language translations in various settings. There are translators for websites, translation solutions for texts online and offline, translators for messages exchanged on messaging apps, as well as translation gadgets that can be conveniently used for traveling. However, none of them can compare to human translation. How good are machine translators and gadgets now? Very good! Machine translation systems have considerably advanced over the years. They have greatly benefited from the development of better computer processors, better software, and extensive research. With better processing power, machine translation is now faster and capable of processing more information. Google Translate is not a category for machine translation systems but it’s arguably the most popular and one of the best, if not the best, translation systems around. As such, it’s worth giving it its own discussion especially with regards to how it uses artificial intelligence. Artificial intelligence, a technology that involves software, research, and great computer processing power, is playing a major role in Google Translate, through Neural Machine Translation. With this technology, Google Translate performs translations on a sentence-by-sentence basis, unlike how it was done before, when sentences were broken into words and phrases and translated independently. Neural Machine Translation employs deep neural networks to comprehend situations the translation system has not encountered before. It is able to learn over time from the information it gets while doing translations. In other words, Google Translate learns every time there are requests for translations through it. It gets better and better as it is used over and over again. The Google Translate Community also greatly contributes to this learning as users rate translations and make suggestions to improve already existing translations being served to users. One other notable advancement in translation technology is the emergence of website translation plugins. In WordPress, for example, there are numerous translation solutions that can be deployed to make websites usable to visitors even if they are unable to understand the default language used on the site. This makes it very convenient to read the contents of a website that is in a different language. It takes away the need to copy text to be translated in a third party translator. Some noteworthy WordPress translation plugins are Potylang, WPML, qTranslate X, Xili-Language, Transposh, Bing Translator, and Goo Translate. Of course, Google Translate also has a WordPress plugin, and it’s definitely one of the best. All of these enable the translation of website texts with just a few clicks. They automatically scan for texts and overlay the original texts with the translations. This means you get to look at the same site with the same appearance but with translated texts. Most website translator plugins create dynamic pages, wherein there is a base static page that contains the original untranslated text and an automatically created (by the plugin) dynamic pages that show the translations. Not many site translation plugins generate static pages. This does not matter, though, because both dynamic and static pages are indexed by search engines. This setup in website translation may be viewed as a way to publish more content and reach out to more audiences through different language versions of the pages published. Making the most of the popularity of mobile devices, translation systems can now be carried everywhere through apps on smartphones or tablets. Aside from Google Translate, there are various other translation apps available. Microsoft Translator, iTranslate, TripLingo, and SayHi Translate are just some of them. They are highly convenient tools for travelers. They can perform text as well as voice translations. Some advanced translation apps come with impressive features such as the ability to translate signs. Basically, this is done by scanning something through a smartphone’s camera and letting the app translate it. It’s a nifty many travelers surely find useful. Google Translate and Microsoft Translator have this feature and their accuracy at translating signs can be considered good enough. On the other hand, there are also apps that offer a split screen mode to allow users to chat in different languages. This convenient feature makes it easy to type in messages and see the corresponding translation in a different section of the app. It’s an advantageous feature in keeping track of messages or entire conversations. Translator app users cannot be expected to memorize what the messages they have sent so it’s good to have a different section showing messages in the language used by the user and another section showing the translated messages. Moreover, there are apps that employ text-to-speech technology so messages received can be translated and read aloud. This feature is still far from perfect, though. Glitches are usually encountered and there are also accuracy issues. Nevertheless, it’s definitely a good development in the field of machine translation. Aside from the translation apps, there are also dedicated translation devices now available. Thanks to advances in technology, it is now possible to create mobile translation gadgets that get the job done without going online and without having to transcribe sentences into texts to be properly translated. One of the most notable translation gadgets available now is Ili, dubbed as “the world’s fastest offline translator for travelers.” It is a small device around a third of the size of a typical smartphone. It’s almost a plain white slab of plastic with some buttons on it along with a concealed microphone and speaker on opposite sides. To use, you just have to press the button and aim the microphone side at a speaker (or at yourself) and release the button for the device to verbalize the translation. Another notable language translation device is Lingmo One2One. It is marketed as a universal translator capable of translating voices offline in near real time. Unlike Ili, Lingmo One2One is intended to be a wearable translation device. It is an earpiece that can automatically translate the words, phrases, or sentences spoken by someone the device’s user is conversing with. Cheaper. It’s definitely less expensive, and may even be free, to use machine translation tools such as apps and devices. Convenient. Sometimes, you just need to translate a few sentences, paragraphs, or documents. You may not easily find someone to do the translation for you. You can turn to machine translation and get a decent translation anytime or anywhere. Fast. Machine translation systems can produce translations quickly with a decent level of accuracy. There are even translation devices that can perform close-to-real-time translations. Multiple Languages Supported. Human translators can be fluently handle a few languages whereas machine translation can support numerous languages. Impersonal. There are those who prefer not to interact with people that they find translation apps or devices more suitable for them. Confidential. As long as you properly secure your data or the documents you translate, you can be assured that everything will be kept confidential. Your translator app or gadget will not rat you out. You don’t have to worry about someone knowing the information you had translated. Indefatigable. Machine translators can perform translations forever. Unlike humans, they don’t tire. They can keep doing the same task over and over again without having the rest. They deliver consistent translation quality and may even improve over time. With all the advancements and advantages discussed above, it is still correct to assert that human translators are far better. There are reasons why human language translation services remain relevant. These reasons can be summed up by one word: ACCURACY. Even with all the technological advancements, algorithmic improvements, and extensive language studies (to figure out the best way to perform translations for certain languages), human translators are still significantly better than their machine counterparts. Human translators are more accurate mainly because of the following: context, conjecture, and the human touch. For now, only humans are capable of properly incorporating context when doing translations. Google Translate’s use of artificial intelligence may have led to better translations on a sentence-by-sentence basis but this does not compare to the human ability to read into sentences and phrases while taking into account previous paragraphs or documents, the nature of the document or article being translated, current events or news that could be related to the article, socio-cultural references, and various other factors. Competent human translators don’t perform translations based only on the current document or article they are working on. When the message of the sentence, phrase, or word being translated is vague, they decide on the proper translation by carefully examining the context. Machines may eventually learn how to do this but for now, this is considerably more accurately done by humans. There are times when human translators spot mistakes, ambiguity, or conflicts in the thought of the sentences or paragraphs they are translating. These can affect the accuracy or the consistency of the thought of the document being translated. Machine translation usually ignore these and will proceed to making straightforward translations. Human translators, however, can more accurately guess what the exact thought in a sentence or paragraph is based on various factors. This is not just about context. It’s about many other things including the use of figures of speech and expressions or coined terms exclusive to a specific group or culture. Human translators can take into account the tone and writing style of an article or document. They can properly evaluate if what is being written is meant to be a pun, idiom, metaphor, or should just be translated literally. Lastly, human translators are better because they know human language better. 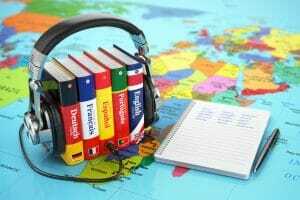 Experienced and proficient translators have adequate exposure to the local use of certain languages. As such, they are well-acquainted with the different idiosyncrasies, cultural inferences, pop-culture references, and other elements that can affect the thought of what they are translating. The human experience with language, communication, play on words, and social interactions across different forms of media enable more accurate translations by humans. Machine translation is good enough for casual conversations. When it comes to translating important documents or doing interpretation for important meetings or conferences, though, it cannot be expected to deliver total accuracy. That’s why human translators are preferred. Accuracy, after all, is the most important attribute of proper language translation. If you are looking for a good human translation service provider, you can search for one online. Nowadays, it is possible to get in touch with translators on the web, through mobile apps. 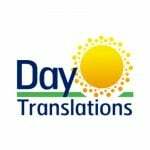 For example, Day Translations has an app called Terpy, which makes it quick and easy to contact and get a quote from a team of certified interpreters and translators. 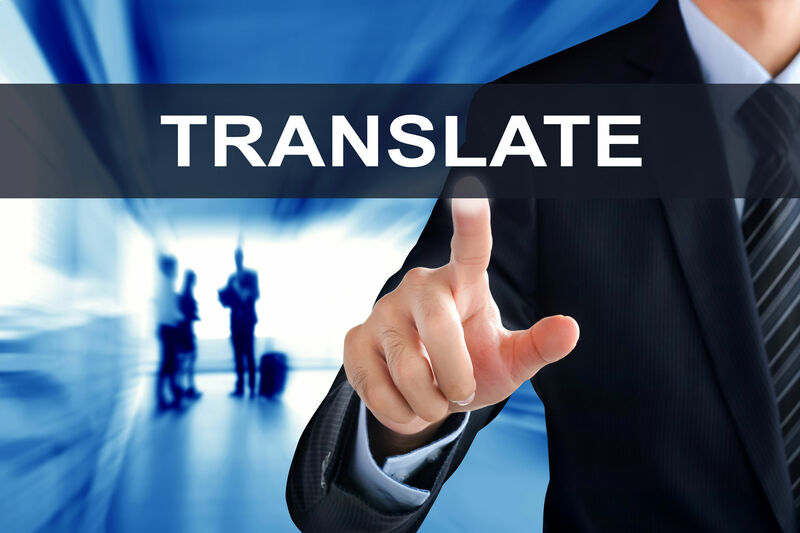 In getting the services of a translator online, examine the expertise, experience, and responsiveness of the translator or translation company you are considering. Legitimate companies wouldn’t hesitate to post their verifiable credentials online. 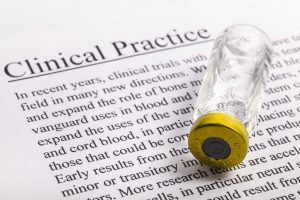 If you are looking for someone to do legal, medical, immigration, or business translation, for example, see to it that you scrutinize the experience of a translator in these fields. It’s not enough for translators to be fluent in certain languages. They should also have the proficiency in handling the nitty-gritty of special translation jobs. Moreover, give preference to translators that are available 24/7 as they tend to be more responsive and faster with their turnover. 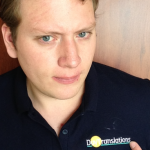 Day Translations, Inc. serves all translation needs, small and large. We provide translation and interpretation services in more than 100 languages, handled by human translators in different parts of the world who are native speakers. You can reach us by phone by dialing 1-800-969-6853, through our contact us form or through our official app, Terpy, which can be freely downloaded from iTunes and Google Play. This app allows you to contact Day Translations and quickly obtain a quote for the translation job you need. Translations that are cheap, fast, convenient, impersonal, and confidential are futile if they are not fully accurate. There’s no question that machine translation has improved significantly but there are also reasons why human translations continue to be important at present. Governments, institutions, and businesses don’t rely on machine translation for their official documents and meetings. The United Nations is still using human translators to enable communication among members. All of these are because of the accuracy of human translation. Machines still have a long way to go before they can achieve the accuracy of human translators.